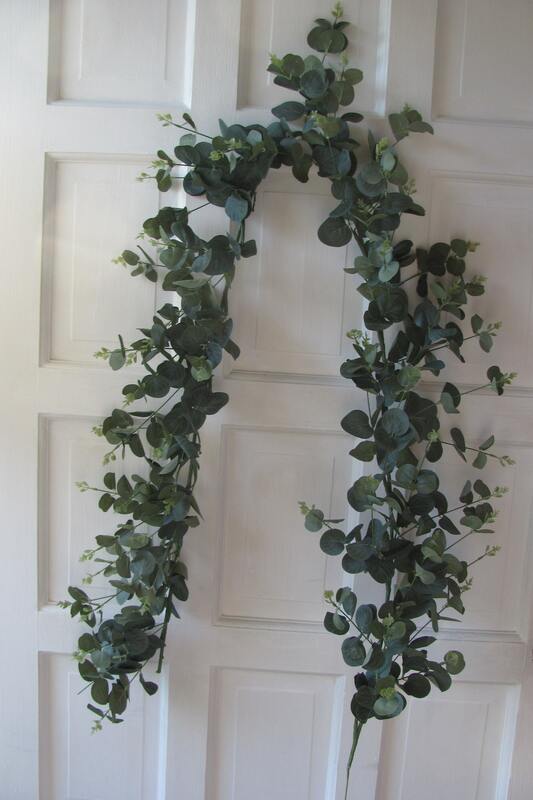 Eucalyptus wedding garland. 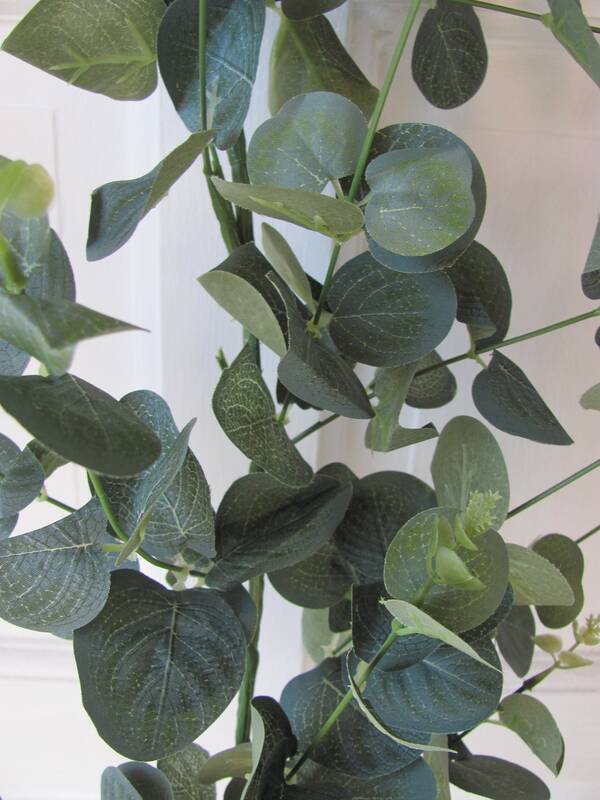 Ideal for floral crafts of all kinds too. 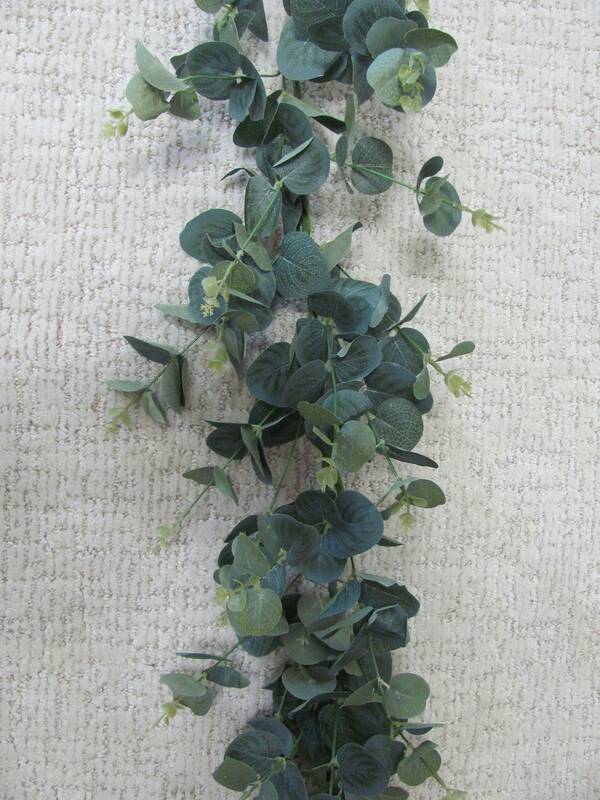 This faux eucalyptus garland features a green gray colored fabric eucalyptus leaf attached to a plastic base. 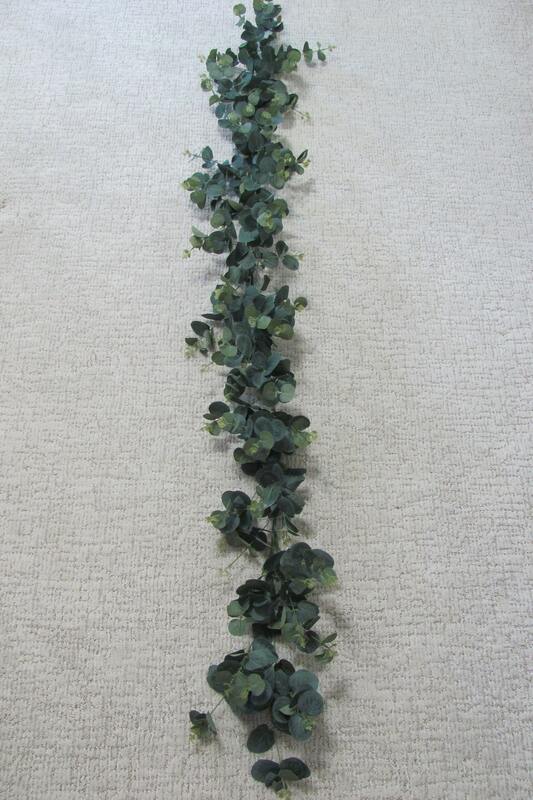 This garland is ideal for making reception table garlands, chair garlands and for cutting and using the sprigs in floral arrangements, bouquets, boutonnieres, hair crafts and craft projects etc. 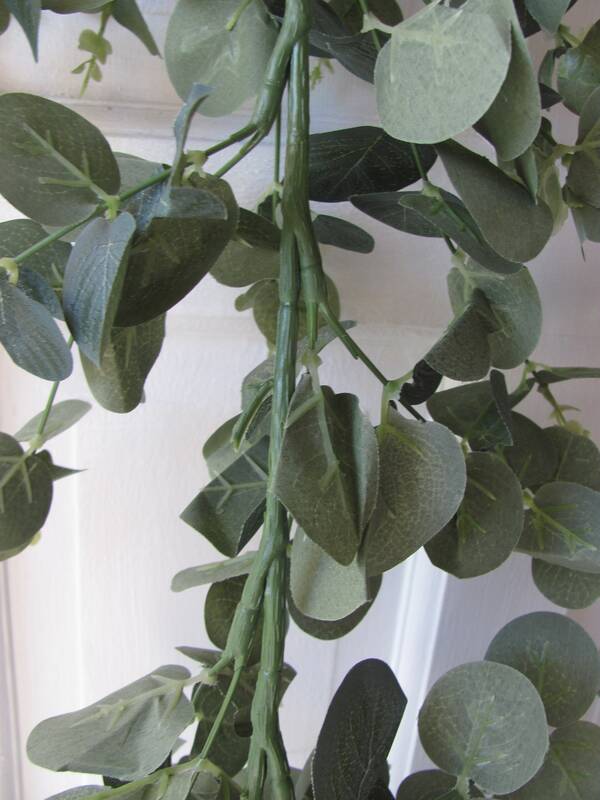 This garland has a firm plastic base that the eucalyptus sprigs are attached to. 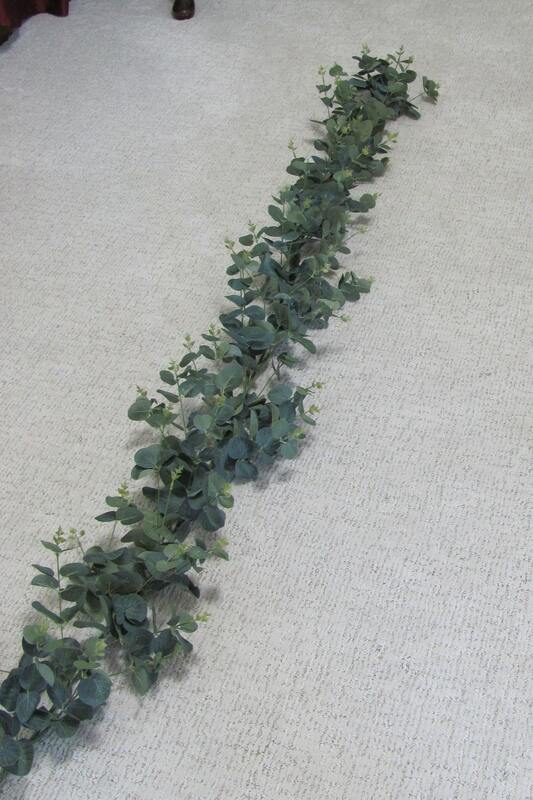 ideal for keeping its stretched out shape on a reception table. 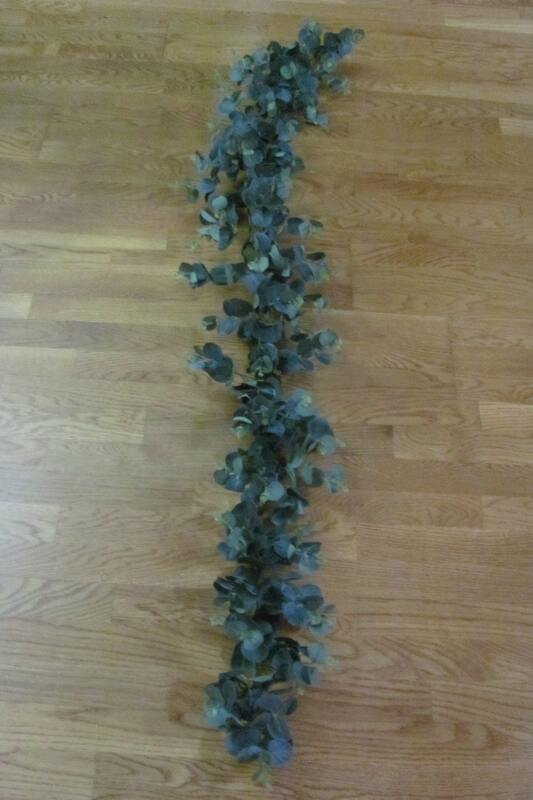 Photo shows garland fanned out and shaped,item ships gathered together and customer will need to shape. 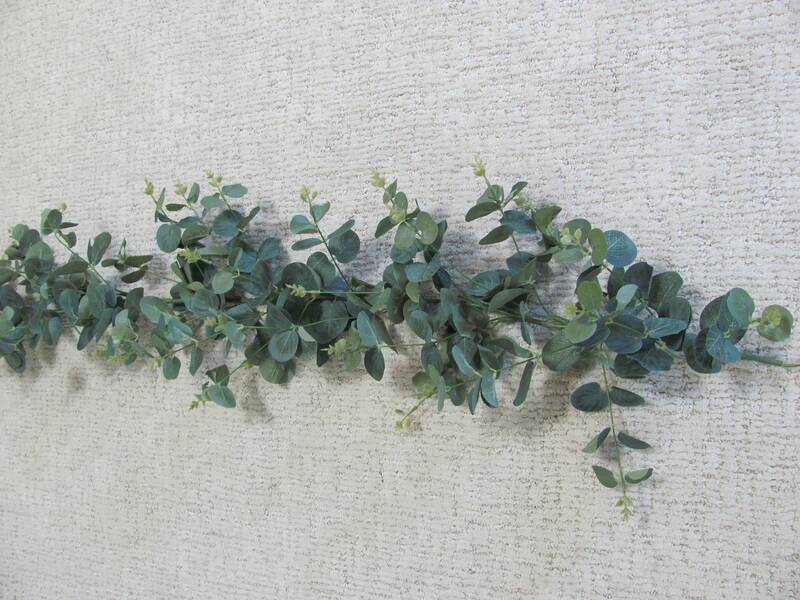 The green on the garland measures approximately 5 foot 5 inches in length. Overall length from the top of the plastic ring base to the end of the fanned out garland is about 5 foot 10 inches in length.